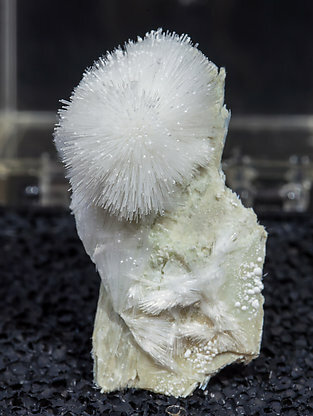 Very aerial radial spray of acicular and extraordinarily thin Artinite crystals on matrix. 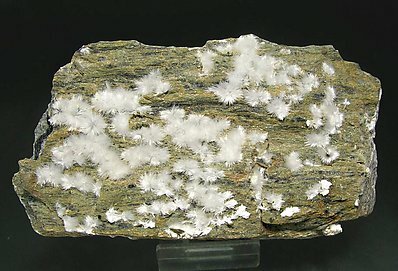 Globular growths of white, silky and bright Artinite crystals coating an Antigorite (variety serpentine) matrix. Nice specimen from a classic locality for the species. 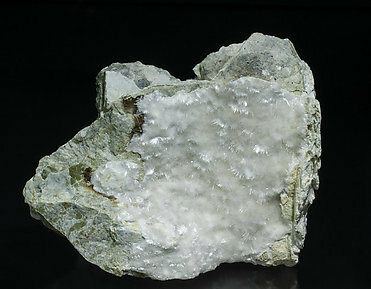 Radial fibrous aggregates of thin Artinite crystals with a pure white color, glossy luster and on a schist matrix. A representative specimen for your display.